The Yellow Devil’s Tongue Chilli Pepper is one of the more mysterious, tasty, and hot peppers around. It’s origins are somewhat vague, but it is speculated that came from the Caribbean some time ago. 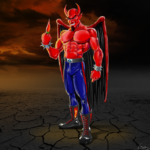 The chilli pepper is a member of the Habanero family and possibly was developed from other Habanero strains and Fataliis. 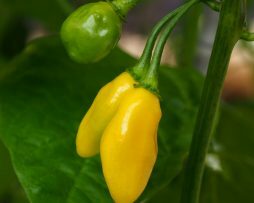 The Yellow Fatalii is from Africa and really is a great all rounder. It’s a bit hotter than a Habanero and great to cook with. It has a citrus flavour and is perfect to use when you are using lemon or lime to boost the flavour of the recipe. Being thin skinned, it dries well and makes excellent powder. 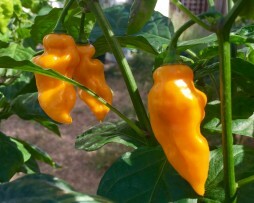 The Yellow lightning Habanero is quite a tall plant with a wonderful spreading canopy. 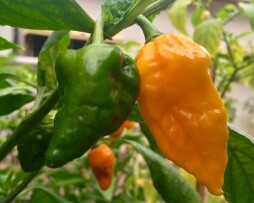 It looks great with the bright yellow “lightning bolt” shaped pods handing down. It grows a lot of fruit which pack one hell of a punch! 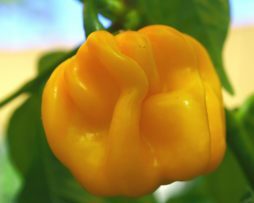 The Scotch Bonnet goes by so many different names it can be quite confusing (AKA Bahamian, Bahama Mama, Jamaican Hot or Martinique Pepper). It got its name from resembling a Scot’s Bonnet and is one that tastes as good as it looks. This is the yellow version which has a slightly more citrus flavour than the red variety. 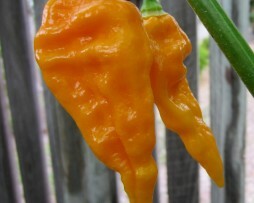 It is closely related to the Habanero but is a bit sweeter with a smoother mouth burn. The fruit grow to approximately 2.5 cm wide and 4 cm long and the bush is quite compact, growing to over a meter. Originally from the Caribbean it is widely cultivated in Jamaica where it is extensively used in their cuisine.